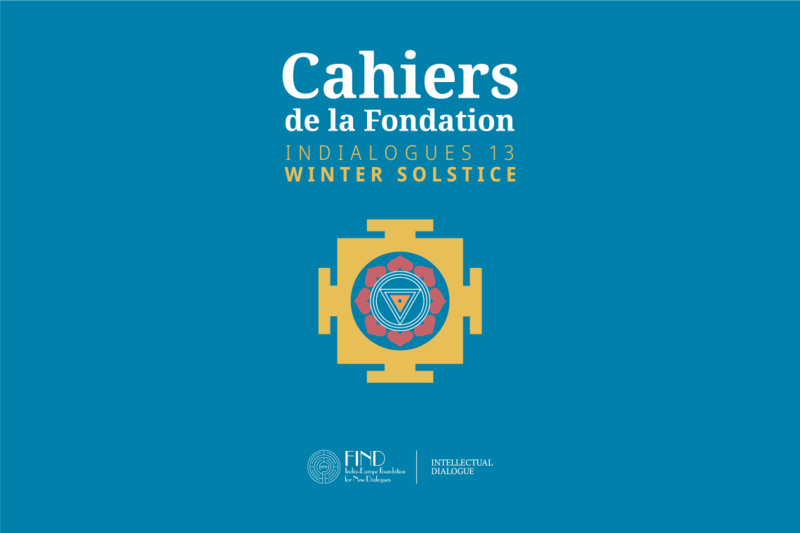 In this new year 2018 that has already begun, in looking back on the achievements of last year, of which I am very proud, I wish to tell you about the new and very promising orientations at the Foundation from now on. It is an undeniable fact that we have already entered the so-called “virtual age” with its radical progress in information technology. This is from many points of view a challenge to cultural activities such as publishing books and other kinds of written communication. Our efforts in 2016 with the restructuring of FIND’s website were a first clear step in the direction of adopting the necessary virtual means to get our ideas across to our Readers. In 2017, it was the turn of Alain Daniélou’s work which, according to the challenges of our time, must not only be available as paper volumes, but also in e-book format. The publication of ten e-books last year is a very important achievement, since it enables readers to have easy access to Daniélou’s thought. There are of course other titles coming up in 2018 to be added to the e-book list. Another achievement was the presentation of Riccardo Biadene’s documentary Alain Daniélou: le labyrinthe d’une vie (in French, English and Italian, as well as in a cinema and TV format of 1 hour 20 minutes and 50 minutes respectively), which was presented at various venues during 2017, received positive comments and generated an interest not only in the work but also in the figure and person of Alain Daniélou. In speaking of Artistic Dialogue, the Summer Mela 2017 is also worthy of mention, when FIND hosted prestigious Indian artists such as Shantala Shivalingappa, Bahaudin Dagar, Pelva Naik and Sudarshan Chana as well as Krishna Mohan Bhatt, Sougata Roy Chowdhury and Nihar Metha. The variety of dance and music styles presented in Rome and Zagarolo bears witness of the diversity of the Indian cultural heritage and its importance for the West. Consolidation of the Intellectual Dialogue platform through the projects carried out in 2017 is also evidence of a renaissance of Alain Daniélou’s spirit. Apart from our consolidation of a very clearly delimited and well-restructured Grant Programme, with sound conditions and objectives, with a very committed follow-up of project developments by Adrián Navigante and an integration of our grantees’ achievements with the main activities of FIND Intellectual Dialogue, we should mention the paths opened to a recognition of Alain Daniélou’s work and vision of India in different milieus, varying from cultural foundations like the Association Recherches Mimétiques in Paris and legendary institutions like the C. G. Jung Institute in Zurich, to academic activities in collaboration with the University of Heidelberg and Würzburg and our already-established cooperation with the chair of Philosophy of Religion at the University of Freiburg im Breisgau. Despite financial restraints to our budget, we continue to work with maximum enthusiasm and commitment in transmitting the heritage of Alain Daniélou: critical thinking regarding socially accepted norms, a taste of diversity in life, together with a deconstruction of prejudices, a humble attempt to understand the world in its complexity and a conscious commitment to make this world a better place. I am increasingly convinced that Alain Daniélou’s heritage is a desideratum for our times. FIND is therefore very grateful to Readers and Friends for their support of the Foundation and financial assistance for certain projects that cannot be carried out at present, such as research scholarships and specific projects of each domain, both artistic and intellectual.